Well, last week, honestly even more than a week, was quite hard. First my husband was ill, then it was me and finally he vent to the cookery competition in London for two days. By the way, he got the second place there and I'm really proud of him! So theese are my excuses for not updating the blog. Sorry, sorry, sorry. I didn't waste my time, I even made some new crochet project to share. 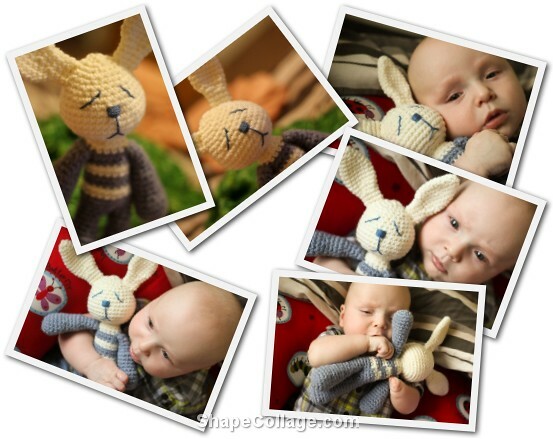 I made Mr Funny Bunny - a crocheted bunny who can shake his head together with his big ears. 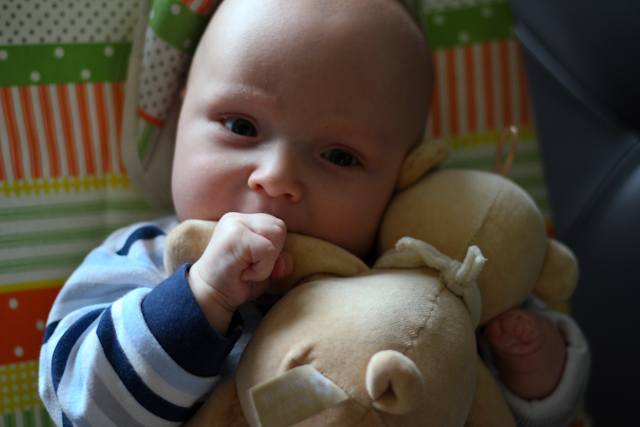 Here you can see that The Little Man loved his new friend. Basically, the bunny is made from oddments. 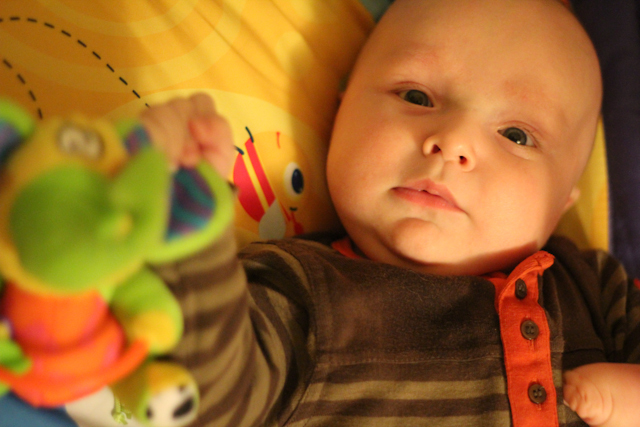 Yes, this is the same blue yarn I used for Little Man's cardigan. And this is important. 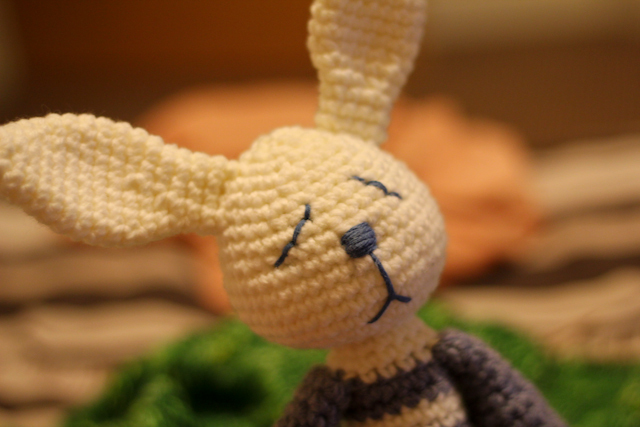 Because before making this bunny I had an idea to make bunnies from all my year 2012 project yarn leftowers. And this bunnies should be different. And there should be at least 10 of them till the end of the year. 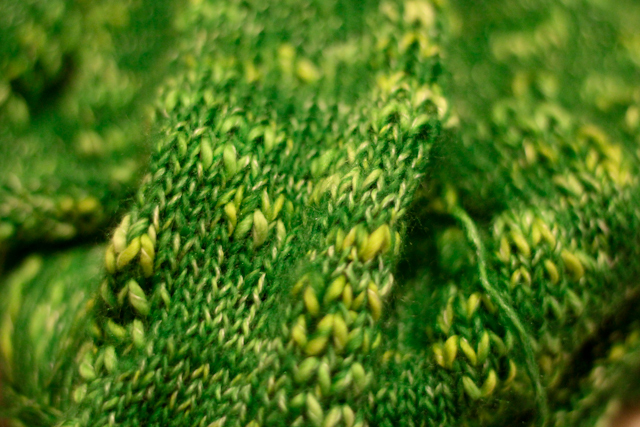 And i started one more knitting project a while ago. I know, I've got to many unfinished projects at the moment, but just look at this gorgeous optimistic green colour and you will understand me.